If you're looking for great tasting soda, but on a low sugar or no sugar diet plan, just cutting back on carbs or concerned about calories, SodaStream is for you. 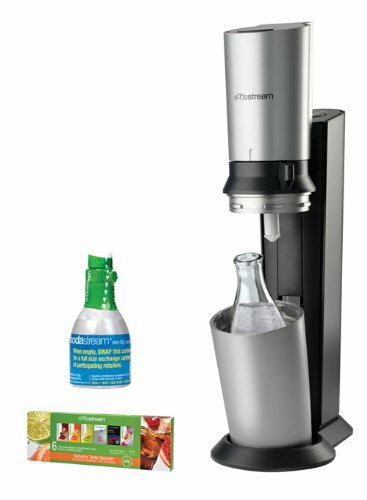 With a SodaStream home soda maker and over 60 delicious regular, diet and caffeine-free soda mix and drink flavors to choose from, you'll enjoy freshly made, great tasting soda that fits your health and dietary needs. Regular Soda mix flavors contain less sugar, calories, carbohydrates and sodium than national drink brands. Regular flavors are sweetened with a combination of sugar and Splenda® brand sweetener. Diet soda mix flavors contain no sugar, no aspartame and are sweetened with Splenda® brand sweetener. SodaStream even has all-natural, unsweetened flavor essences for making refreshing, lightly flavored sparkling water. MyWater flavor essences are available in Orange and Lemon-Lime - just like squeezing a wedge of citrus into your seltzer. So go ahead and close your eyes and take a sip. There's no mistaking the delicious taste of all your familiar favorites including Cola, Lemon-Lime, Root Beer and a whole variety of fruit flavors. Turn tap water into sparkling water or flavored soda with a touch of a button.